Do We Really Need to Keep Mammals and Animals in Captivity? Path of the Bullet, Released Today, December 1, 2014! It’s official! 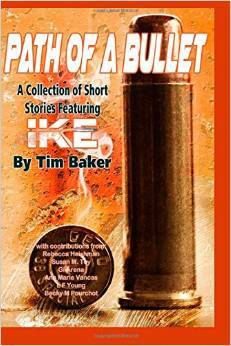 You could read a fictional genre authored by me and featured within the pages of fellow author and friend, Tim Baker’s latest book, Path of the Bullet, released December 2014. Tim has numerous fictional writings in both e-book and hard copy formats that are worth reading. My story is part of a collection of short stories involving Tim’s elusive character, Ike. I pair him up with a bewitching young lady named Ruby to create a zany tale involving special ops personnel, (or Mafia?) who are in pursuit of my two characters. It’s peppered with hot romance, humor, and staggering disappointment. Available on Amazon in ebook and paperback. 2 Do We Really Need to Keep Mammals and Animals in Captivity? 4 Path of the Bullet, Released Today, December 1, 2014! 7 To all you Generation “X” and “Y” Members. If I can do it, they can do it, I’m talking about your parents and grandparents!